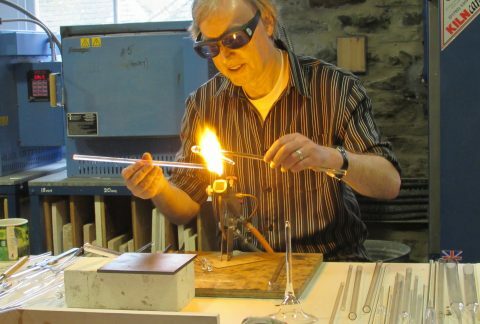 This course is aimed at those who wish to experience and learn some basic elements of working glass on an open flame. It will appeal to the beginner as much as those with previous experience. 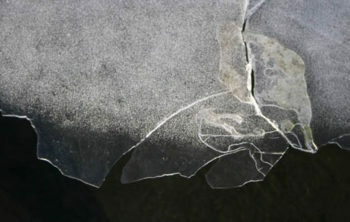 The material used will be borosilicate glass and be mostly clear tubing and rod of various sizes. Objectives will be set at the start of each day with the final day seeing cumulative results involving teamwork recognising the individual’s progress. Ian Pearson has been practising lampworking since 1961, and is an acknowledged master of the craft. For many years a scientific glass blower creating highly complex laboratory equipment; Ian now uses his blend of ancient craft and modern technology to make art objects and gifts at his studio Glass Creations in Thurso.